Even though I curse laundry day, I am secretly very thankful of the Swedish solution to washing our smalls. In the UK, if you don’t have your own washing machine, then you have to trudge down to the nearest laundrette, loaded like a mule with heavy bags of dirty washing, clutching a handful of pound coins and hoping that there aren’t masses of people queueing. In Sweden, most apartment blocks have their own laundry room. Usually in the cellar or the attic, you book your time on a board on the wall and then it’s just to carry your dirty clothes there when it’s your turn. You don’t even have to take your flipflops off. And it’s free. And even though laundry day is a drag, you can’t deny the convenience of it compared to the UK. 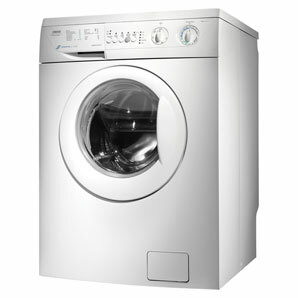 Nowadays, many people also have their own washer in their apartment or house of course. Some friends of mine were recently planning a refurbishment and were trying to decide where to put the washing machine. ‘Why not put it in the kitchen?’ I said ‘there’s lots of space there’. You see, in the UK most people have their washing machines in the kitchen. What’s the problem? In Sweden, people usually put their washing machine in their bathroom. So, can somebody please explain to me what’s so pleasant about doing the laundry where you crap???! !